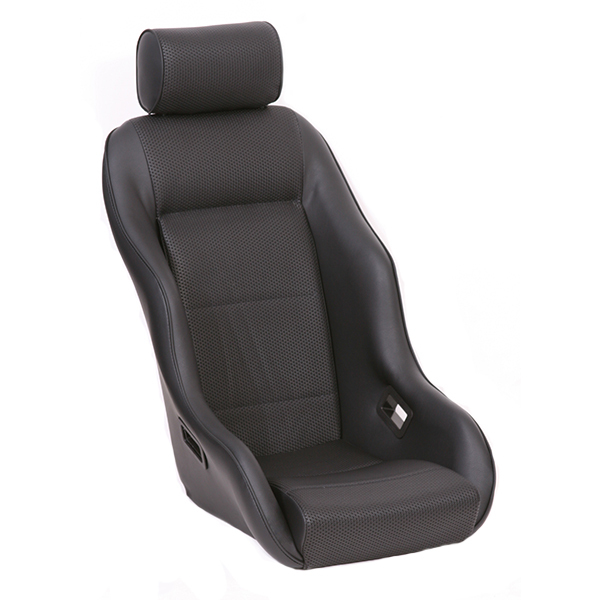 A classic recliner in every sense of the word, structured around a modern day, fully tested and approved frame that both reclines and tilts forward for easy access to the rear of the vehicle. The Stuttgart is reminiscent of early Classic 911s with period styling features and original upholstery but would look at home in almost any classic sports car. 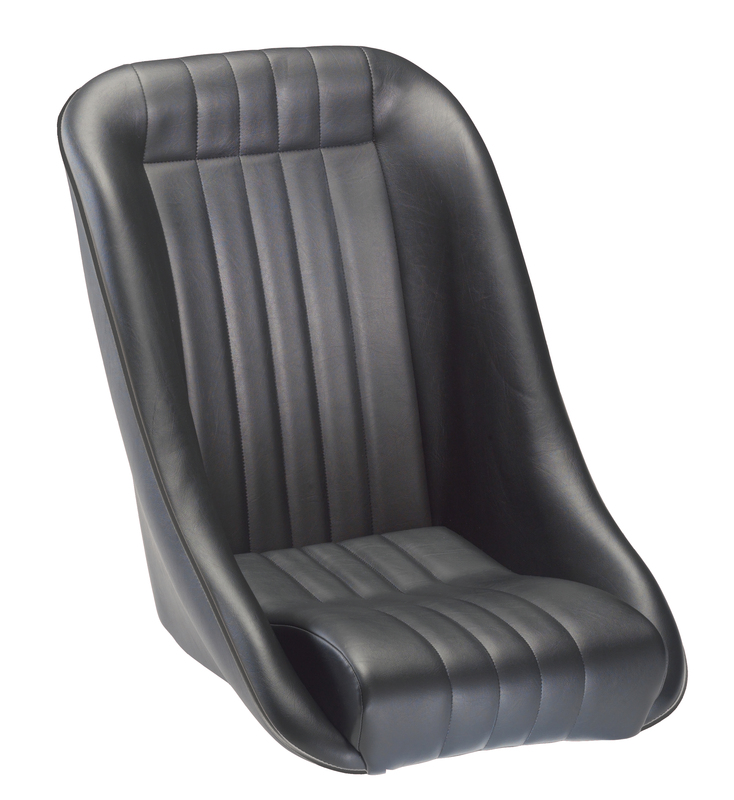 A classic recliner designed around cars of the late 60s and early 70s. At home in most British Italian and German sports cars. 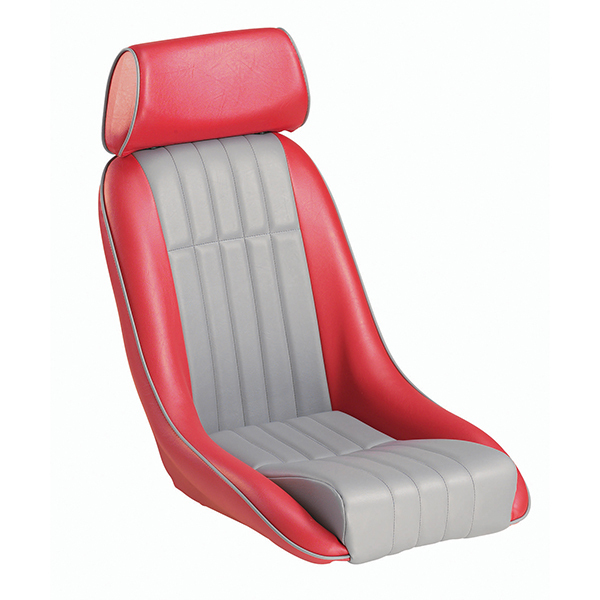 Styling is reserved and modest, with slimmer cushions which maximise cockpit room. Bolstering is minimal but supportive, providing good comfort for larger people while keeping a sporty feel. 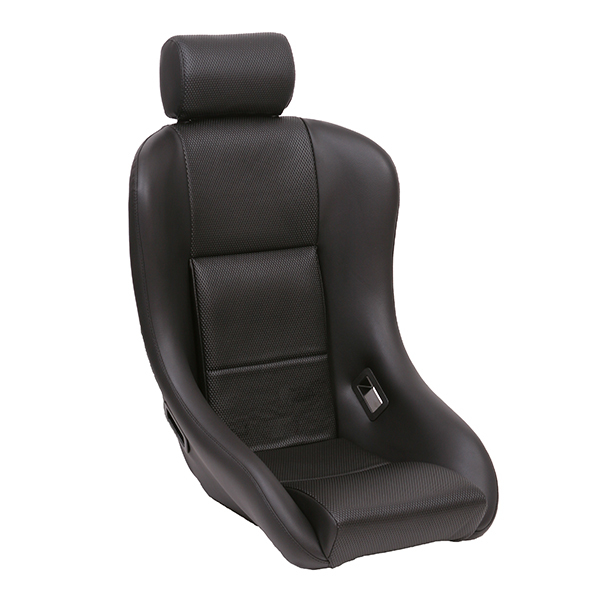 Authentic period styling is built on internal framework which is tested and approved to latest standards with dual recline hand wheels and a tilt forward facility. 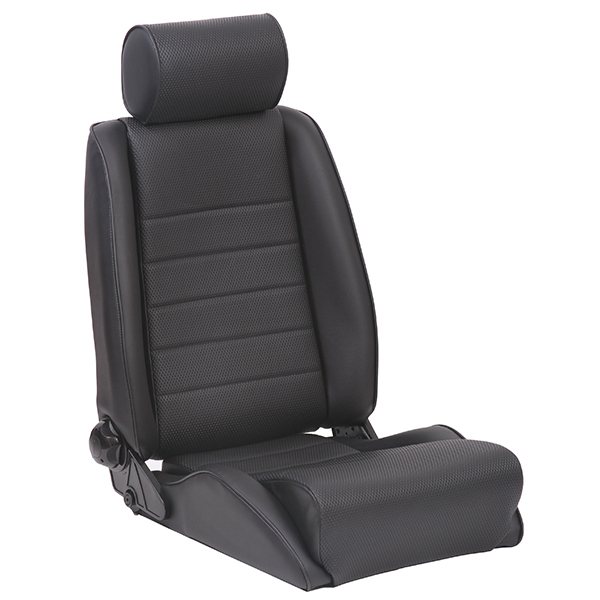 Available in period trims including vinyl surrounds with piping, basket weave, corduroy and hounds-tooth centres and a classic styled adjustable head restraint.